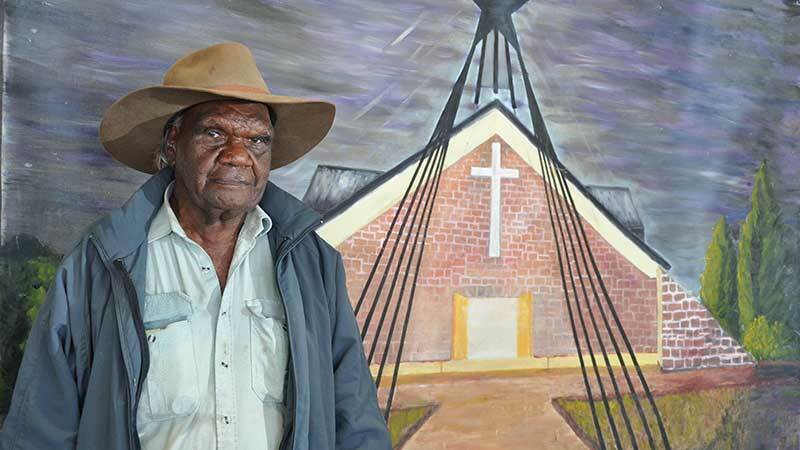 Like many nomadic Aboriginal people who were given a government name for identity reasons around the time of 1960s census, Hezekiel’s Aboriginal name Tjingunya was anglicised to become his new surname Jingoona. The name Hezekiel was given to him when he was baptised by Pastor Leo Kalleski on 1 June 1962 at Areyonga, where he was later confirmed on 5 December 1965. After his parents brought him in from the Petermann Ranges as a boy, Hezekiel grew up at Areyonga under the influence of the missionaries and various Aboriginal evangelists, who later became pastors Peter Bulla, Leo Tjukintja, Sam Protty, Theo Windy and others. Hezekiel was tribally married to Gillian Namatjira in the late 1950s. They both adopted Frankie Wheeler when he was a baby. Gillian and Hezekiel separated in the early 1970s when he started drinking. He stopped drinking when he started training to be an evangelist in the late 1970s at Haasts Bluff. He started working as an evangelist at Areyonga in the 1980s, along with Djala Andrews and Daphne Puntjina. 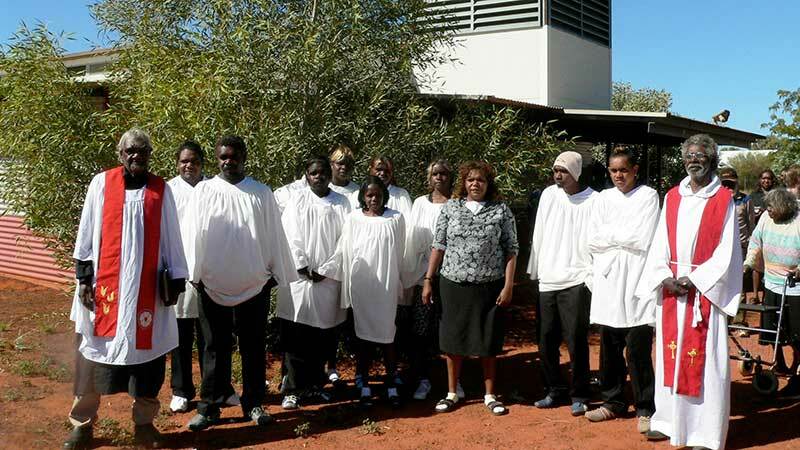 When the resident pastor at Mutitjulu (Samuel Protty) died, Hezekiel became the local evangelist and later pastor at Mutitjulu after he was ordained on 14 November 1999 until his death on 12 September 2018. He had also served the outlying communities of Imanpa, Ukaka and Lila for many years. A long-term cultural heritage advisor to Parks Australia until he retired a few years ago, Hezekiel taught staff and visitors about Aboriginal culture and its importance within the Uluru-Kata Tjuta National Park. He also mentored junior rangers, helping them build skills and gain employment within the park. This important work was recognised nationally when he was named Male Elder of the Year as part of 2012 NAIDOC Week celebrations. Hezekiel is survived by his wife Millie and his adopted son Frankie Wheeler.